We were initially approached by Bespoke Radio managing director Jamie Wilkinson towards the beginning of February and since then, we’ve thoroughly enjoyed helping him bring his idea to life. Jamie has produced and worked on a host of Sony award and Gillard award-winning programmes and radio stations. He’s appeared on BBC Radio 1, Galaxy, Century FM and a host of local BBC radio stations accross the country. Bespoke Radio has also managed to attract some top DJ’s for it’s customers including Radio 1’s Scott Mills and Smooth Radio’s Mark Goodier. Bespoke Radio creates unique tailor-made radio shows for every occasion full of your choice of music, memories and even guest appearances by family and friends via your very own on-air voicemails. It’s a fantastic idea and one we’ve thoroughly enjoyed bringing to life over the last several weeks. 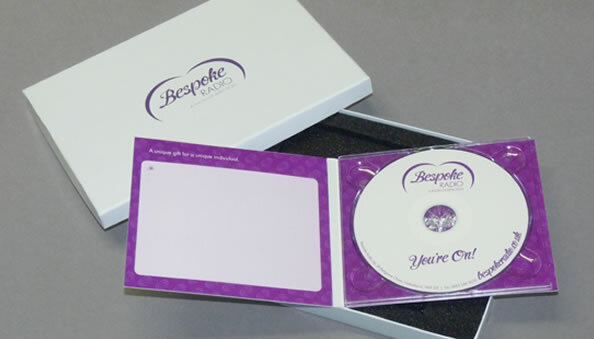 Throughout the initial stages of the project, Projector were busy creating an amazing brand for Bespoke which they’ve recently spoken about on their blog. It’s a personal favourite of mine and really helped set the tone and direction of the work we’ve done. The website contains a customisable back-end which allows users to create their show online and also ask for help from friends and family on things like song choices and anecdotes to use in the show. We’ve created a system which allows Bespoke to completely manage their ordering process quickly, easily and all online. 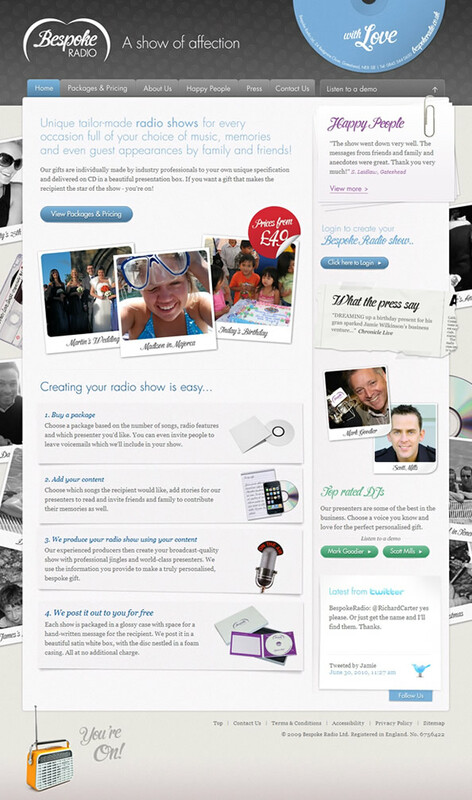 Head on over to Bespoke Radio and begin creating your very own radio show!